We've read several Nelson DeMille books and Susan particularly enjoys his sarcasm. This book is a re-release of a book he wrote in 1975. He says he more than doubled the length. 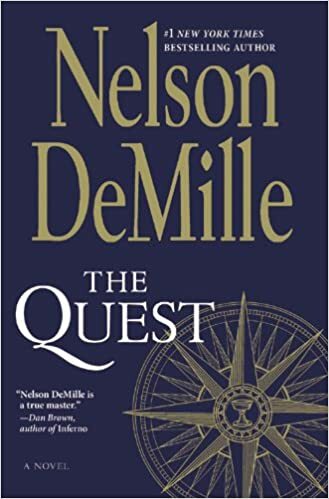 Author's Note: "An earlier, shorter version of The Quest was published in paperback in 1975. In 2013, I rewrote The Quest and doubled its length, making it, I hope, a far better story than the original, without deviating from the elements that made the story so powerful and compelling when I first wrote it. In other words, what made The Quest worth rewriting remains, and whatever is changed is for the better. I was happy and excited to have this opportunity to rewrite and republish what I consider my first "big" novel, and I hope you enjoy it as much as I did when I first wrote it."